Stonehenge could have been built to worship sound rather than light, a bizarre new theory claims. The giant stones may have been carefully placed to recreate magical quiet spots or loud areas during dances and rituals. Scientist Steven Waller walked around a pair of flutes playing the same tone and recorded different areas of loudness and softness caused by “an interference pattern” of sound waves. He believes prehistoric Britons could have heard and felt the same effect and come to believe it was caused by a mystery force from another world. They could have erected Stonehenge with its strange ring of giant stones to represent the pattern of mysterious sounds they heard. 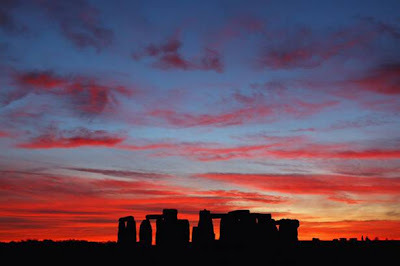 Mr Waller, an independent scientist, said: “Stonehenge is a mystery as to why our ancestors bothered to haul tons of stones and build this strange structure. I thought I would approach it to see if it had anything to do with sound. To test his theory he took blindfolded people into a field to walk around where flutes were playing. “I had them draw what they thought was between them and the noise. The drawings that they made in response to the interference patterns resembled Stonehenge. “Stonehenge is itself kind of unique because it has lintels on top. One person actually drew archways and thought of it more like a wall with gaps in it. “So I believe that could have happened 5,000 years ago just as it can be demonstrated today. “That's if these people in the past were dancing in a circle around two pipers who were playing the flute, or whistle, or whatever they had back then and they were experiencing the loud and soft and loud and soft regions that happen when an interference pattern is set up they would have felt that there were these massive objects arranged in a ring. “And it would have been this completely baffling experience - they would not have been able to explain it. “Anything that was mysterious like that in the past was considered to be magic and supernatural. Mr Waller studies the science of archeoachoustics which attempts to reveal the sounds which would have been heard in ancient monuments and caves thousands of years ago. 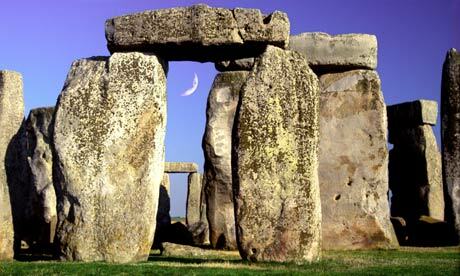 He began researching the acoustics of ancient caves in 1987 before turning his attention to Stonehenge. He presented his research to the American Association for the Advancement of Science conference in Vancouver today. 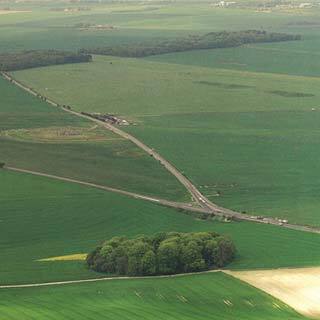 A section of the A303 near Stonehenge in Wiltshire will be closed for roadworks over the next several weeks. A six-mile stretch of road between Amesbury's Countess Roundabout and the dual carriageway at Deptford will be shut between 2000 and 0600 GMT. The Highways Agency is carrying out the work to install a quieter surface on the single carriageway road . Spokesman Dave Sledge said: "This will improve the environment around those areas, especially Stonehenge itself." Traffic will be diverted on to other routes while the roadworks are being carried out.